Cattle Barron Saddle Stand made out of northern white pine, stained walnut with hand tooled leather front and two conchos. - Hammered Horse Products, L.L.C. 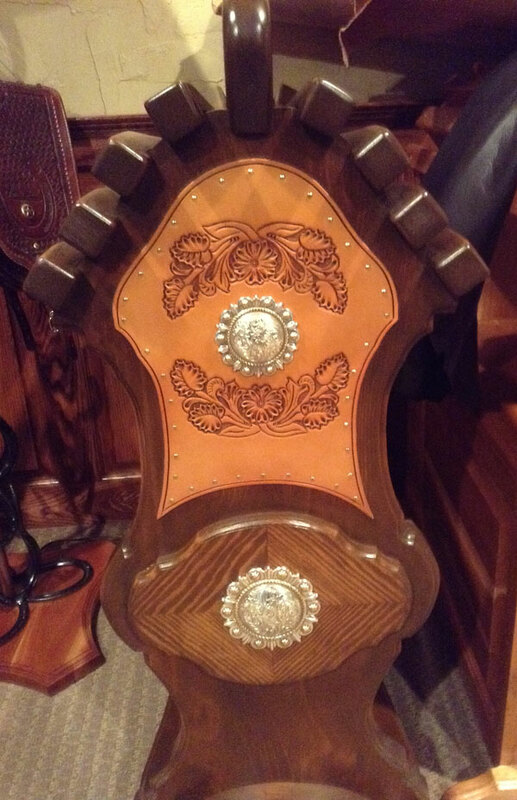 Cattle Barron Saddle Stand made out of northern white pine, stained walnut with hand tooled leather front and two conchos.